One of Android's most useful troubleshooting tools seems to have vanished in the Android 9 Pie release — but it's actually still there. You just have to know where to find it. As a Certified Android Troubleshooter, there are certain tools you learn to rely on. Whether you're the official go-to guy or gal for Android problem-solving in your office, the unofficial single-person tech support team for your entire extended family, or even just someone who likes to make sure your own phone is always in tip-top shape, these tools are critical parts of the phone-fixin' process. And one of the most helpful such items (aside from the hammer you obviously keep around for particularly challenging devices) is Android's built-in battery stats system. 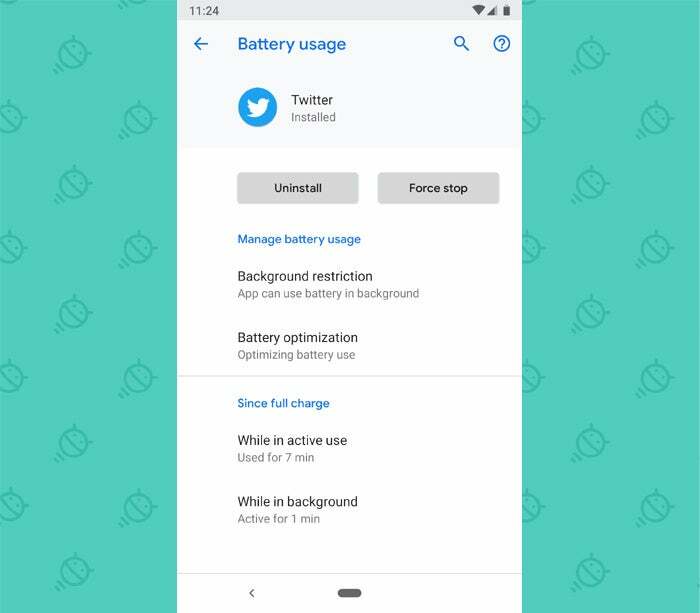 Android's battery stats system lets you quickly see what app or process is consuming more than its share of a phone's limited power. When a device suddenly starts running out of juice mysteriously early in the day, it's the first place you turn to figure out what's draining the battery and what you should do to address it. I ran into this very issue with my wife's phone just the other day (yes, dear friends: I, too, hold that ever-prestigious family tech support position — please, no autographs). Her device, she reported to me, had begun reached low-battery territory by early to mid-afternoon for no apparent reason. It's not an especially old device — a first-gen Pixel — so I suspected some app she'd installed was likely to blame, probably because of overly aggressive background activity. 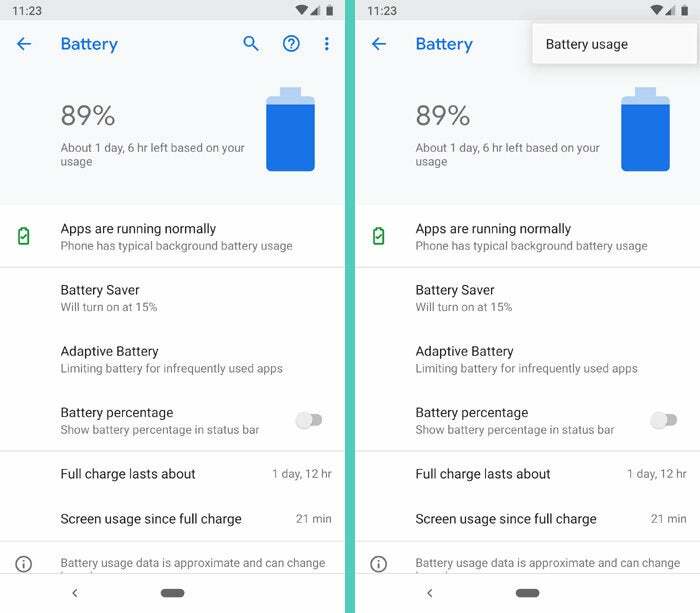 But when I went into the Battery section of her phone's settings, I found an irksome surprise: As of the new Android 9 Pie release, the specific app-by-app breakdown of battery usage was nowhere to be found. (I think I technically learned that at some point several months ago, but my brain is 98% mush these days, and I forgot.) So what's a Certified Android Troubleshooter to do? Thankfully, the answer is quite easy. Android's advanced battery stats are actually still present in Pie; you just have to know where to look to find 'em. Make a mental and/or digital note for future reference: First, go to the main Battery page of the system settings, just like normal. See the three-dot overflow menu icon in the upper-right corner? Tap it. Tap it with gusto. And thar she blows, just out of sight: our elusive "Battery usage" option. Halle-forkin'-lujah. 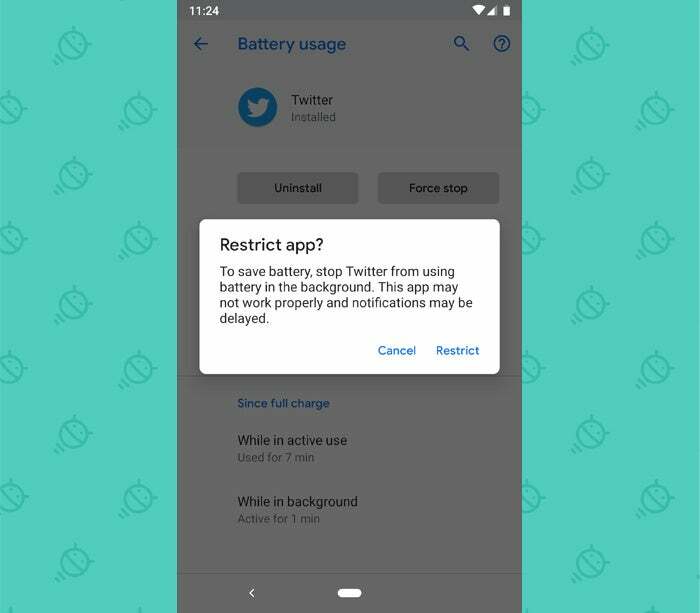 Tap that option, and breathe a sigh of relief: Your detailed list of what apps are using up your phone's power are back in front of your twinkling peepers. You can smash your finger into any app in the list to see how much of its usage was in the foreground — via active, on-screen activity — and how much was in the background, when no one was actively looking at it. If you identify an overly aggressive background-usage offender, you can then go into the app's settings to try to tamp down its background activity — or, if the app is one of those total jerks that doesn't offer easy options for controlling its background activity, you can disable its ability to operate in the background at the system level, right from that same Android battery stats section. That's exactly what I ended up having to do with my wife's phone. Turns out she had put the Instagram app on it at some point, and it was doing some heavy-duty background refreshing — unbeknownst to her and with no real benefit for the way she uses the service. (She looks at it when she wants to but doesn't care about notifications or updates the rest of the time.) And being a Facebook-owned entity, naturally, the app is 98% garbage and contains no obvious way to control this behavior. A couple quick taps, though, and bam: Our pesky little offender was no longer allowed to operate unless it was actively being used. And my wife's battery life magically jumped back up to where it belonged. 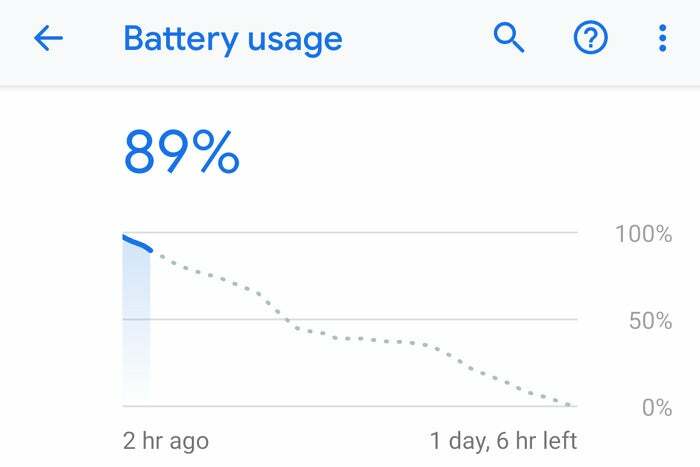 All it took was figuring out where to find those blasted battery stats in Android Pie. And now you know — so your very important role as a Certified Android Troubleshooter can continue uninterrupted.